This entry was posted in news and tagged GRAND-AM MINI USA motorsport on January 12, 2015 by James Day. After a few years’ absence from the IMSA Continental Tire SportsCar Challenge series (formerly GRAND-AM) when RSR Motorsports stopped racing MINIs, MINI USA announced that MINI is returning to compete once again in the Series’ ST class. LAP Motorsports in partnership with MINI USA, will enter the forthcoming MINI John Cooper Works Hardtop later in the season. Woodcliff Lake, NJ, January 12, 2015. The new 2015 MINI John Cooper Works Hardtop will make its World Premiere today at the North American International Auto Show, featuring the most powerful engine ever installed in a MINI production model. The latest high performance addition to the MINI line up will be priced at $30,600 plus $850 Destination & Handling in the U.S. and will go on sale in the spring. The 2015 MINI John Cooper Works Hardtop will make its much-anticipated World Premiere with a grand introduction by none other than rally legend Rauno Aaltonen at MINI’s press conference in Hall D of the COBO Center, at 1:20 pm ET. Aaltonen will take the stage in a Classic Mini similar to the 1966 Mini Cooper S that he drove to victory in the famed Monte Carlo Rally in 1967. With Aaltonen on hand and the new MINI John Cooper Works Hardtop in the spotlight, MINI proudly announced a new motorsports partnership with LAP Motorsports to compete in the Street Tuner (ST) class of the Continental Tire SportsCar Challenge. The Indianapolis-based team owned and operated by racing veteran Luis Perocarpi will begin running the MINI John Cooper Works cars in the series later this year. MINI’s long history of rally-car racing has always been reflected in the brand’s John Cooper Works performance series, and the newest Hardtop further extends that tradition. The latest edition in the premium line, the 2015 MINI John Cooper Works Hardtop offers the most powerful engine ever installed in the brand’s production models, delivering optimal performance to the premium small-car segment. 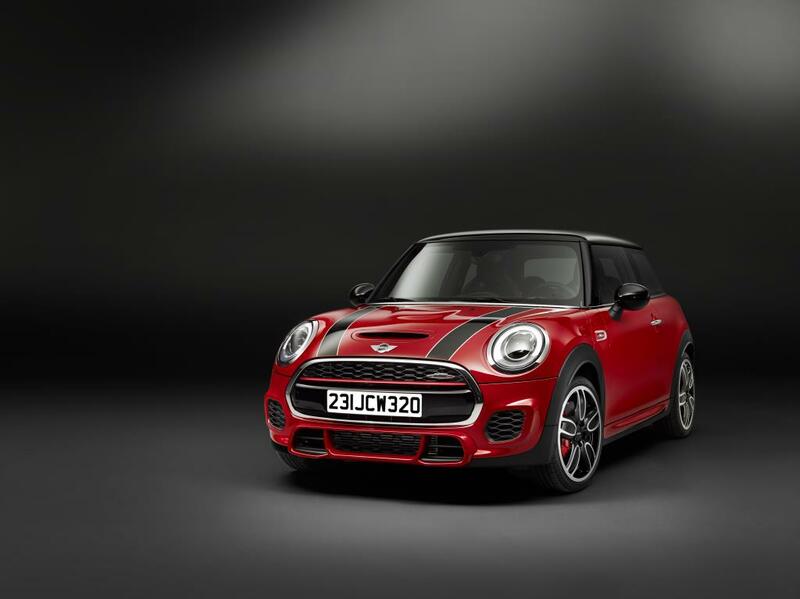 Specially tuned for high performance on the track and on the road, the first John Cooper Works model to be built on the shared front wheel drive global architecture with BMW Group will be powered by the latest generation MINI TwinPower Turbo Technology four-cylinder engine. The car also features a sports exhaust, refined suspension technology and model-specific design features which not only optimize the car’s aerodynamic features, but also guarantee a fun and efficient ride with an irresistible temperament. Read the entire pres release MINI Brings Motorsports Heritage to Detroit for John Cooper Works Hardtop World Premiere.